y Neyra, named Islas de Salomon. 15 Mar 1893 - Jul 1971 Part of the British Western Pacific Territories. and Buka Islands (effective 1900). forces surrender on 5 Sep 1945). 1944 - 1951 Ma'asina Ruru revolt on Malaita Island. 28 Aug 1973 Limited autonomy. 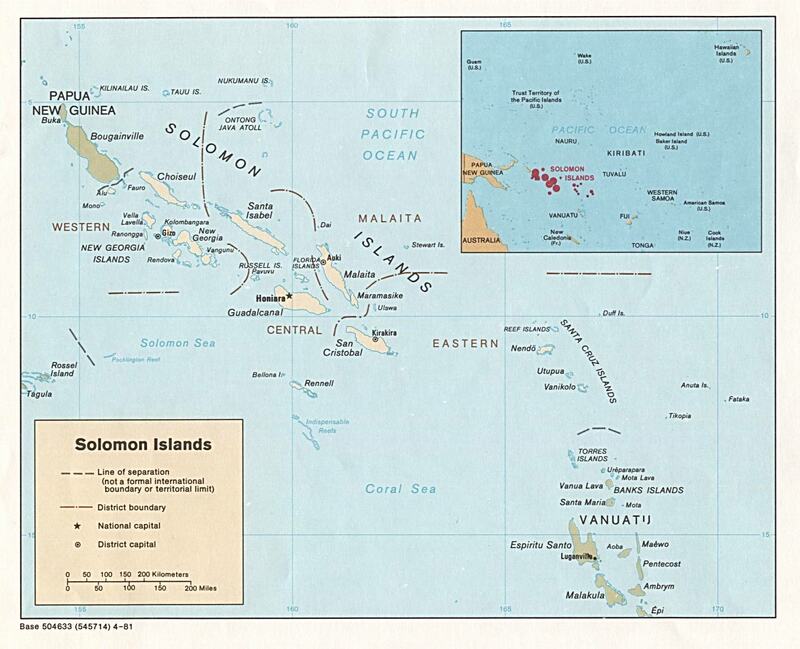 22 Jun 1975 Renamed Solomon Islands. 7 Jul 1978 Independence from Britain (Solomon Islands). Mission to Solomon Islands (RAMSI). (b) from 1 Nov 2013 (in non-statutory use since 1988): "Queen of Solomon Islands and of Her other Realms and Territories, Head of the Commonwealth." Territorial Disputes: Since 2003, the Regional Assistance Mission to Solomon Islands, consisting of police, military, and civilian advisors drawn from 15 countries, has assisted in reestablishing and maintaining civil and political order while reinforcing regional stability and security.